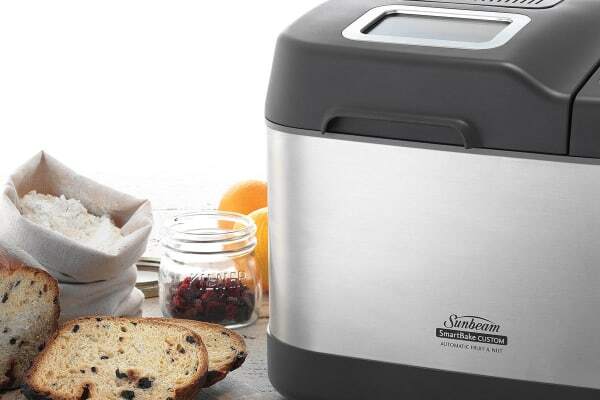 Bake delicious loaves of bread and pizza dough with this programmable bread maker with its very own automatic fruit and nut dispenser! 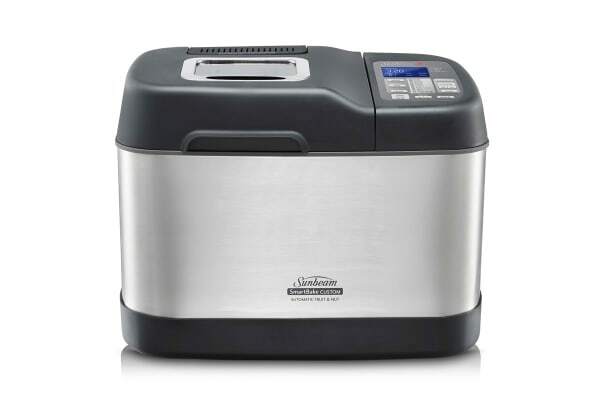 Featuring 12 preset menus and 8 programmable menus, the Sunbeam SmartBake Custom 1.25KG Bread Maker allows you to make your very own bread and pizza dough in the comfort of your home. The display makes it easy to see what stage your bread is at in the process from preheat, knead, rise, bake and keep warm. Make delicious doughs with ease with the fruit and nut dispenser that slowly adds ingredients into the dough during the kneading process so they are not crushed.